The minute after this is posted I am leaving to pick up Simay at the airport in Oslo. We are finally done with a 1.5 years of long-distance relationship. We will celebrate Christmas in Norway and Sweden, before going back to Paris together. I will finally be able to live with the girl I love. It has been 1.5 long years, but we’ve been able to keep growing the love we have for each other, and are now finally going to live together again in Paris, this time in a domestic partnership. We’ll be starting the life we’ve been dreaming of for the last couple of years. Simay is taking her MBA at IFA Paris, and will finish spring 2018, and I have one semester left of my Masters degree at ESSEC Paris. We met while we were studying a year abroad during our Bachelors degree, and before we left Paris we decided that we would move back. Although we spent a whole year in France we spoke almost exclusively English the entire time. I mean we spoke French in the stores and at restaurants, but other than that our French hardly improved. We have studied a little French while being away from each other, but there is still a lot to learn. 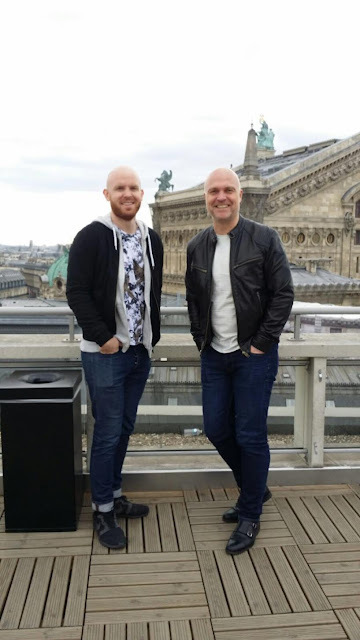 On this blog I will write about our journey, everything from education, hopefully getting a job, learning French, and other aspects of our life in France. I want to give you as a reader an insight into the ups and downs of living in a beautiful, non-English speaking country, and to inspire you to go after your dreams, as we are doing right now. Can't wait to read more from you guys !!! Thanks Damla <3 You have to come visit this spring!